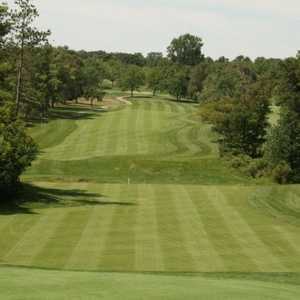 The 18-hole Kensington Metropark in Milford, MI is a public golf course that opened in 1962. 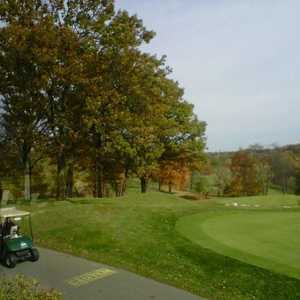 Kensington Metropark measures 6378 yards from the longest tees and has a slope rating of 115 and a 70.8 USGA rating. The course features 2 sets of tees for different skill levels. The 18-hole Lakes/Woods at Mystic Creek Golf Club in Milford, MI is a public golf course that opened in 1996. Designed by Conroy-Dewling Associates, Inc. , Lakes/Woods at Mystic Creek Golf Club measures 6802 yards from the longest tees and has a slope rating of 130 and a 72. The 18-hole Meadows/Lakes at Mystic Creek Golf Club in Milford, MI is a public golf course that opened in 1996. Designed by Conroy-Dewling Associates, Inc. , Meadows/Lakes at Mystic Creek Golf Club measures 6649 yards from the longest tees and has a slope rating of 131 and a 71. 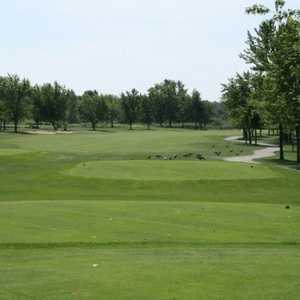 The 18-hole Woods/Meadows at Mystic Creek Golf Club in Milford, MI is a public golf course that opened in 1996. Designed by Conroy-Dewling Associates, Inc. , Woods/Meadows at Mystic Creek Golf Club measures 6685 yards from the longest tees and has a slope rating of 130 and a 71.